Energy Alchemy: Sustainable or Silly? How long can we rely on energy-intensive industries to transform fuel into plastic and plastic into fuel, or to perform services that nature would willingly undertake for free if we’d just get out of the way? We humans are pretty clever, aren’t we? 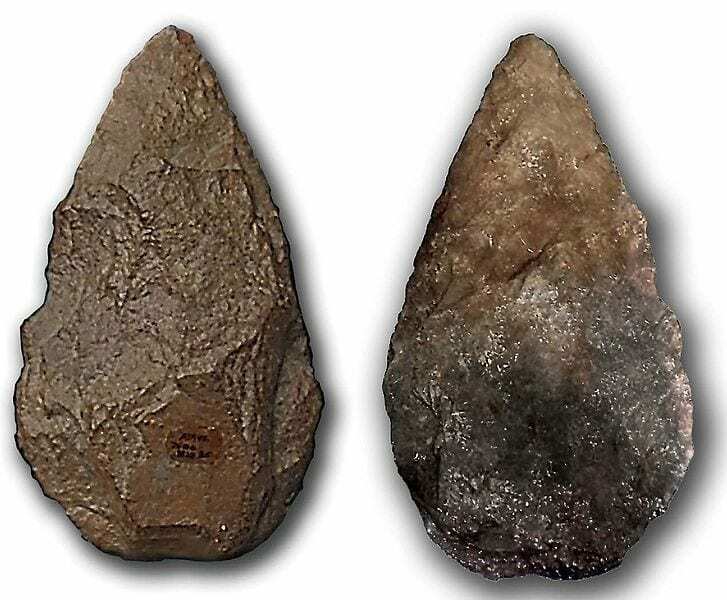 Over the course of the last 100,000 years or so, we’ve managed to parlay the most sustainable technology the world has ever known, the Acheulean hand ax, into a dazzling assortment of modern gadgets that both improve our quality of life and sometimes harm us. Most of that apparent progress came in a sudden burst shorter than a human lifetime. Now, we use so much energy to make so much waste that we’re desperately trying to find ways to reverse that equation before we run out of one and are choked to death by the other. Will these attempts at energy alchemy save us, or are we rearranging molecular deck chairs on the Titanic? Nature is an expert at turning a reasonable amount of waste back into something useful. Modeling our processes on natural cycles is how gardeners turn compost back into food, but when industry tries to mimic nature, we end up turning avocado pits into plastic. With single use plastic (rightfully) falling out of favor, Biofase, a Mexican company, sensed an economic opportunity to transform a local waste stream into a resource to feed the world’s increasing demand for plastic alternatives. According to the USDA, Mexico produces 1.8 million metric tons of Hass avocados every year, mostly in Michoacán, where Biofase is headquartered. What happened to avocado pits before Biofase started performing the miracle of starch-to-plastic alchemy? They were usually burned at landfills. A 350,000 year old bifaced quartzite hand axe, found in Spain. Public domain photo by José-Manuel Benito Álvarez, courtesy of Wikimedia Commons. Meanwhile, a team of chemists at Purdue pursued a different kind of alchemy: turning waste plastic into petroleum substitutes. Polypropylene, a polymer used to make toys, medical devices, and even potato chip bags, also turns out to be a good candidate for recycling into gasoline and diesel-like liquid fuels, pure enough to power vehicles. To do this, they add the polypropylene to supercritical water, which has been heated to around 850° Fahrenheit at enormous pressure. After an hour or so, the plastic reverts to oil. Of course, for this to go from being a lab experiment to yielding real-world benefits, the amount of energy returned has to be greater than the energy invested in the conversion process, a ratio known as EROEI. If it’s below about 5-7:1, it’s not going to power a modern society. Clever humans! Turning avocado pits, which could be burned for energy, into plastic, and turning plastic back into fuel that can be burned for energy. What infinite new complexities will we think of next? An ocean away, Europe’s progress towards sustainable energy use has imbued the continent with a green-tinged aura that we haven’t been able to replicate on this side of the pond. However, who has been underwriting Europe’s “eco-friendly” reputation? The United States, by selling off some of our ability to sequester carbon, that’s who. In 2009, the EU committed to binding legislation that requires member nations to obtain 20% of their energy from renewable sources by 2020. To reach that goal, countries like the Netherlands and the UK have been buying the forests of the American Southeast, chopped down, formed into pellets, and shipped to power plants. Trees which, through nature’s own alchemy, could have pulled carbon out of the air for years to come. Wood is considered carbon neutral biomass if it would have been cut down anyway, but according to Seth Ginther of the US Industrial Pellet Association, no sensible landowner would leave a forest standing instead of exploiting it for economic gain, so of course it’s carbon neutral, right? And thanks to the George W. Bush administration, the Kyoto protocol didn’t include a requirement to count felled forests as a carbon emission, so through this dubious alchemy, Europeans don’t emit carbon by burning American wood pellets. Cutting down forests for fuel means we have to find some other way of sequestering carbon. An international team of research scientists came up with another bit of industrial alchemy that pulls carbon out of the air and turns it into lumps of coal. How? It involves a liquid metal catalyst in an electrically charged vessel. CO2 reacts with the metal and forms flakes of carbon, which sink to the bottom. It’s not clear how much energy it takes to isolate the coal-like flakes, or if doing so takes more energy than was obtained from burning trees in the first place, but it sure generates the mental image of a perpetual-motion machine, doesn’t it? Fuel to plastic and plastic to fuel. Trees to carbon dioxide, and carbon dioxide back to coal. Human culture has gotten far more complex since the days when hand axes were cutting edge technology, but I’m not sure it’s any more sustainable. How long, and how intensely, can we rely on industrial processes to substitute for services the natural world once provided almost everywhere, for free, powered by the Sun, fully automated, and with no effort on our part? Too much more “progress” and we might need to make those axes again. Related: Straw Man, or the Last Straw?